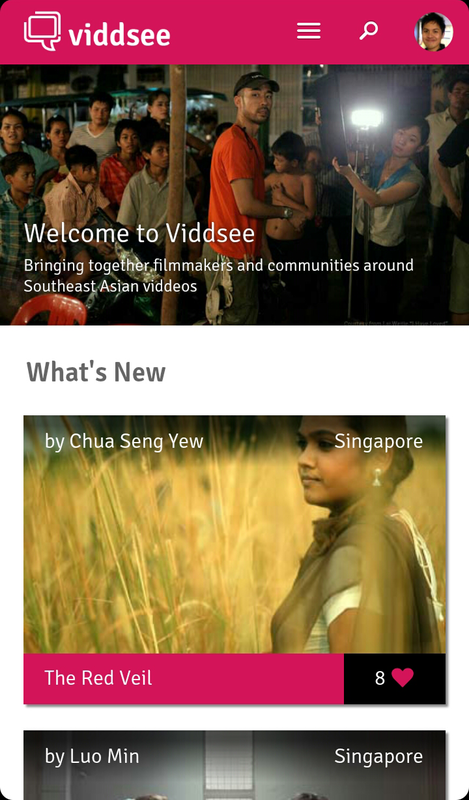 Singapore-based video site Viddsee has launched a mobile Web app, as the startup seeks to cater to a growing percentage of its audience accessing the site via mobile devices. Viddsee is an online video platform for indie filmmakers across Southeast Asia to showcase their short films where people can watch them for free. The desktop website launched in late January, and Viddsee has about 150 short films on its site now, including Chinese films from Singapore, Indonesian shorts and more. The startup says about 40 percent of its audience watch their short films on mobile, and a mobile Web app would help to “ensure a good browsing and watching experience for our users.” Viddsee’s mobile website has basically been optimized for a smaller screen, with a vertical listing of the films. Users can rate films based on micro-ratings under the categories of story, acting, camera and sound, as well as log in to their existing social networks such as Twitter and Facebook to discuss the films. Viddsee co-founder Ho Jia Jian also told TNW that there are plans to release native mobile apps in the future, though he didn’t provide further details. The company launched with a grant from Singapore’s Action Community for Entrepreneurship (ACE), and so far the site has been accessed by 98 different countries, with 30 percent of its users watching 6-10 minute films. Note: There is a known problem with the site on Chrome for iOS, which appears to be down to an issue with Facebook SSO logins. The Viddsee mobile Web app works fine for Safari for iOS and Chrome/other browsers on Android and other mobile platforms though.